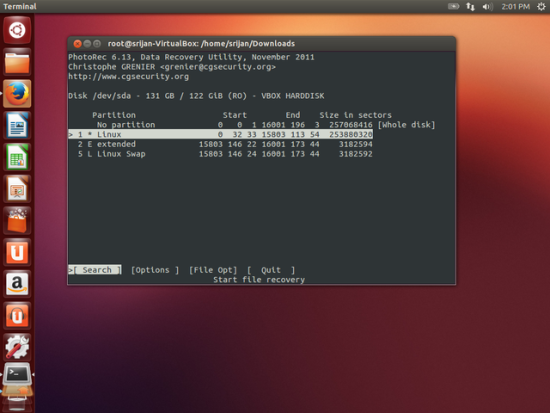 This tutorial will help you to recover data from accidentally deleted data from Linux-file systems. This is a very drastic mistake by any user/admin which costs for huge penalties. 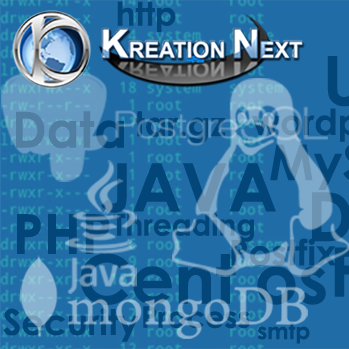 This script will be a boon for newbies/expert for data management. 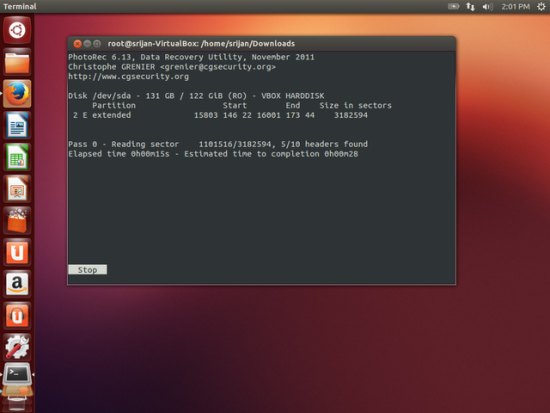 I will be using TestDisk for data-recovery. Here I have simplified the task with the help of a script. 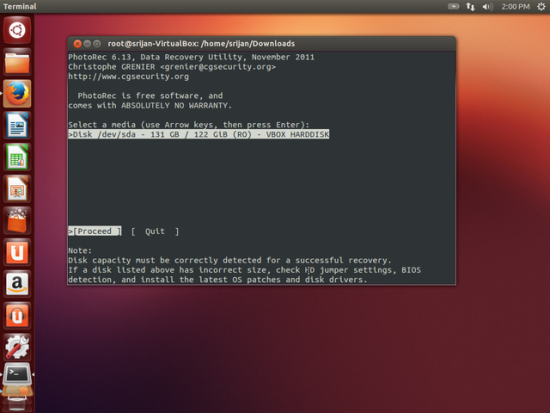 TestDisk is a powerful free data recovery software. Suppose you have a ext3/ext4 drive which got crashed/deleted with rm -rf or shift+delete like commands, with the help of TestDisk you can recover the data/file. 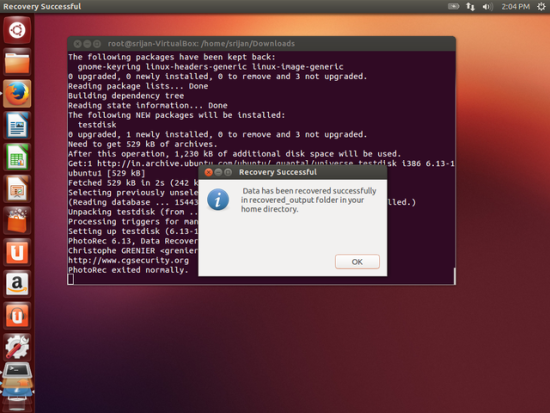 I am using Ubuntu12.04 LTS on which I will be installing the TestDisk & implement the data recovery script on a crashed drive. 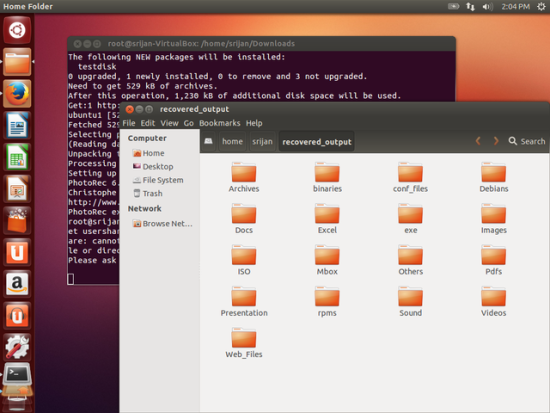 This script works fine with the Ubuntu OS. 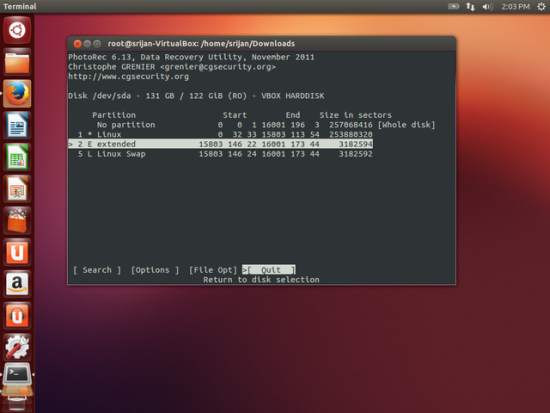 Even if it happens that any of the harddisk gets deleted just connect the harddisk with the ubuntu machine & run the script to recover the data. echo "User is root, you can execute the script successfully"
echo "You are using ubuntu/debian"
gdialog --title "Your Operating System" --msgbox "You are using ubuntu/debian"
gdialog --title "Your Operating System" --msgbox "You are not using debian/ubuntu.You can download the TestDisk from this link http://www.cgsecurity.org/wiki/TestDisk_Download"
echo "You are not using debian/ubuntu. You can download the TestDisk from this link http://www.cgsecurity.org/wiki/TestDisk_Download"
zenity --display :0 --info --width=350 --height=100 --title "Recovery Successful" --text " Data has been recovered successfully in recovered_output folder in your home directory." Simply copy the above script & paste in file viz. script.sh & give the execute permissions to the script. Run the script & it will guide you further. Firstly script will confirm that whether the user running the script is root, then it will check for the TestDisk tool installation. It will redirect you to the drive selection page for the data recovery. 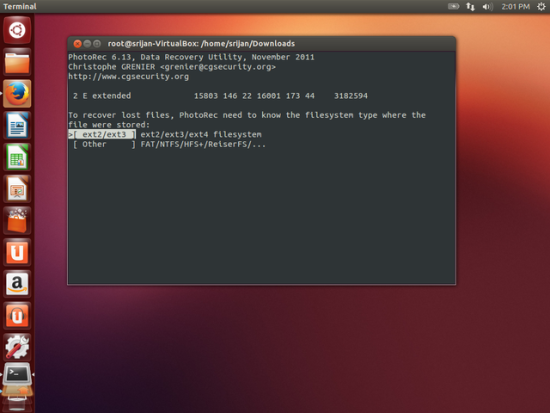 After Completion of recovery it will show the number of files recovered. Exit the TestDisk tool as follows. The script will popup for the success message. 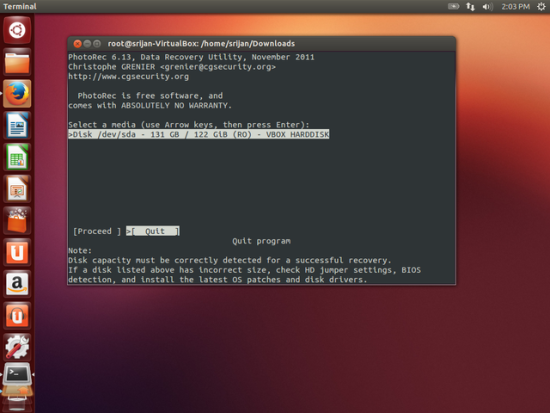 Press OK & the data is recovered in the recovered_output folder of your home directory. Cheers you have recovered your data.